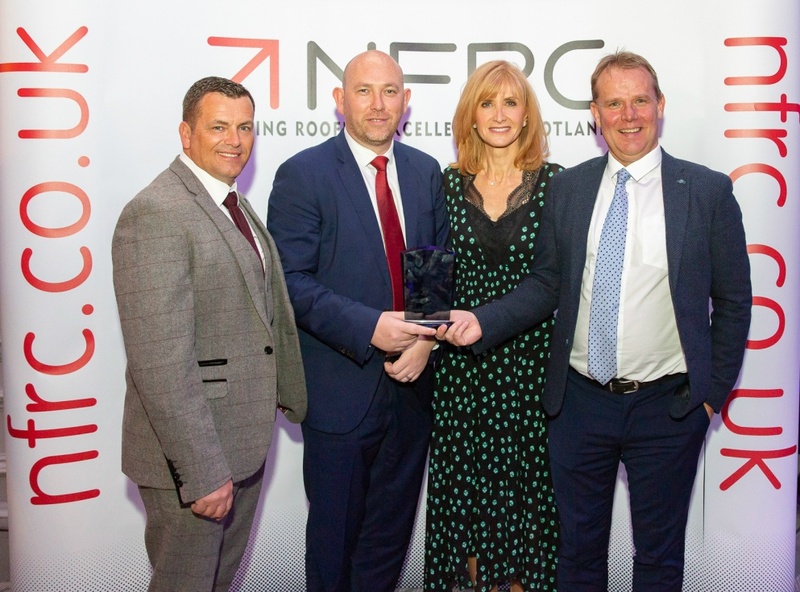 Market leading single ply roofing manufacturer, Sika Sarnafil, and two of its Registered Contractors, have triumphed at the National Federation of Roofing Contractors (NFRC) Scottish Roofing Contractor of the Year Awards. 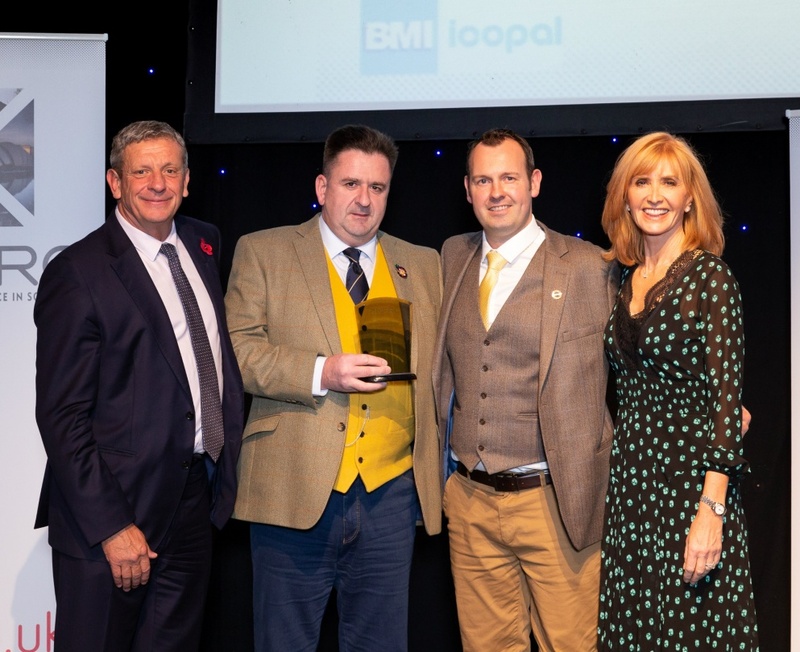 The awards, which recognise outstanding standards of workmanship and technical expertise in the roofing industry, saw Sika Sarnafil win Supply Chain Partner of the Year and Perth-based roofing contractor, Aim Developments, come out top in the Single Ply Roofing category. 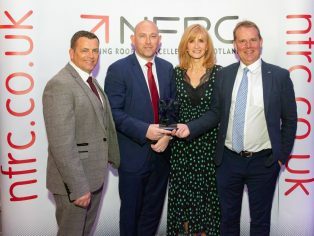 The NFRC announced the winners at a ceremony presented by TV broadcaster Jackie Bird, on Friday 26 October at The Grand Central Hotel, Glasgow. Judged by an independent expert panel, finalists were chosen for their exceptional work on Scottish roofing projects across 13 categories. Sika Sarnafil received the award for Supply Chain Partner of the Year alongside one of its Registered Contractors, Q9 Cladding Solutions, SFS Group Fastening Technology Ltd and Kingspan Insulated Panels UK, for the prestigious Victoria & Albert Museum in Dundee. The £80 million project, designed by Kengo Kuma to reconnect the city with its river and house an incredible array of exhibits, is an example of world-class architecture. Contracted by BAM Construction, Sarnafil worked closely with Q9, SFS and Kingspan to ensure the innovative roof design could be delivered sustainably and to a superior build quality for maximum longevity. 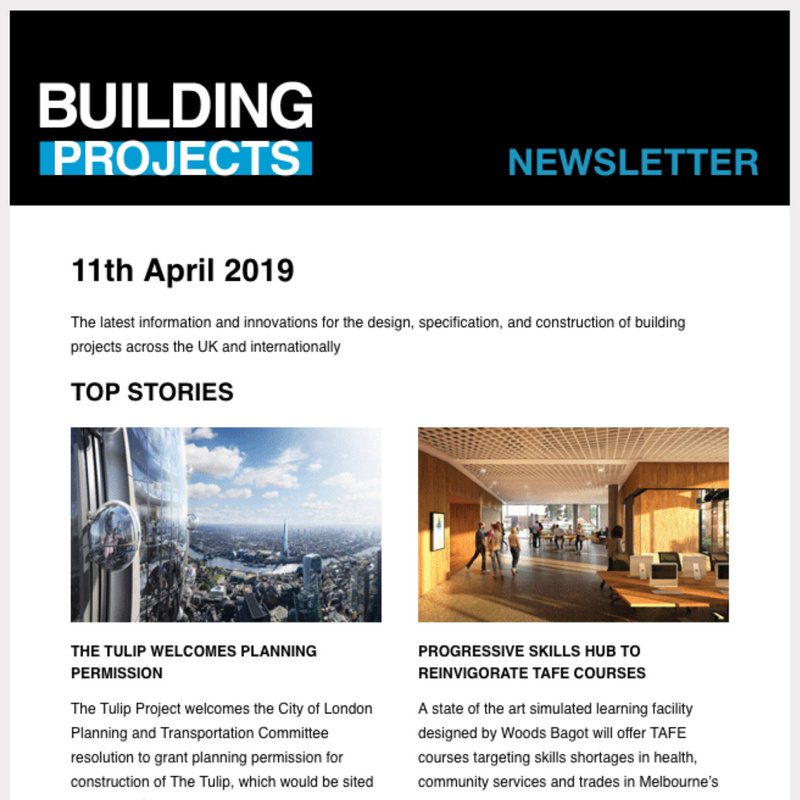 The skillful collaboration saw this impressive project completed well in advance of its September opening – all thanks to close project management and expert teamwork from all involved. Aim Developments, another of Sika Sarnafil’s Registered Contractors, won the Single Ply Roofing award for the roof of the An Crùbh (The Hub) community centre situated on the beautifully rugged Isle of Sky. Aim Developments was recognised for its ability to deliver an outstanding finish on schedule when faced with the challenge of an incredibly exposed site. Despite the difficult windy conditions, Sarnafil and Aim Developments’ expertise meant the roof was completed to an impeccable standard, creating a new epicentre for the community that would last the test of time. For more information on Sika Sarnafil’s products and services, call 01707 394444, email sarnafilroofing(Replace this parenthesis with the @ sign)uk.sika.com or visit www.sarnafil.co.uk.